Former DAG Anura Senanayaka, arrested and remanded on charges of concealing evidence in connection with the murder of popular rugby player Wasim Thajudeen has been re-remanded until 5th April. The order was given by Colombo Additional Magistrate Jayaram Trotsky yesterday (30th). Sri Lanka has foreign debts around US$3.6 billion and anyone seeing this debt burden would want to commit suicide says Prime Minister Ranil Wickremesinghe. Mr. Wickremesinghe made this observation participating in a ceremony to mark the 25th anniversary of Kularathna Children’s Home at Godakawela held yesterday (30th). The Prime Minister said the debt has to be settled from this year to 2026 and added his government would develop the economy of the country to settle the debts while developing the country. 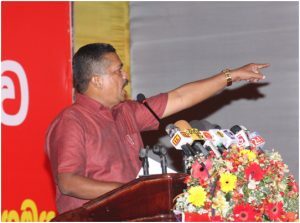 The Colombo High Court yesterday (30th) issued summons on former Minister of Mahinda Rajapaksa regime Mahindananda Aluthgamage to appear before Court on 22nd May in connection with an indictment filed against him by Attorney General for alleged criminal breach of trust of Rs.3.9 million funds belonging to Sri Lanka Nidahas Kamkaru Congress. The Attorney General in the indictment charges that Mahindananda Aluthgamage had committed punishable offences under section 389 of the Penal Code and the A G has listed 13 persons as the witnesses in the case and named eight documents as production items of the case. Employees serving in Samurdhi Development Department have not received festival advance says the General Secretary of Samurdhi Development Officers’ Union Chamara Maddumakaluge. Mr. Maddumakaluge said all employees in state and semi-government institutions are paid a festival advance of Rs.10,000. However, 22,000 employees employed in Samurdhi Development Department have not been paid this advance said Mr. Maddumakaluge. The water tariff will have to be increased as supplying filtered water has become very expensive says the Minister of Urban Development, Water Supply and Drainage Rauff Hakeem. 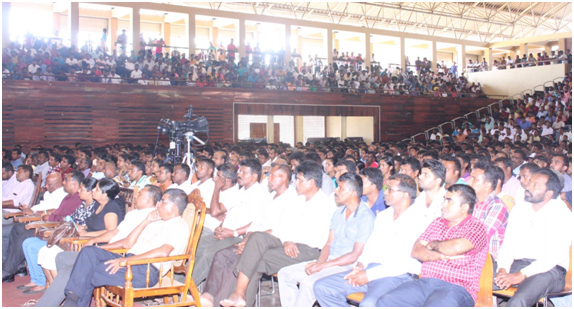 The Minister said this at a ceremony held at Monaragala to declare open the Kumbukkana Water Supply Scheme. UPFA Parliamentarian Wimal Weerawansa who carried out a hunger strike demanding bail as he was arrested and remanded for allegedly misusing 40 state vehicles belonging to the State Engineering Corporation causing a Rs. 90 million loss to the state during 2011-2014 period has called off his ‘hunger’ strike. He was admitted to prison hospital and later transferred to Colombo National Hospital where he gave up the hunger strike. Wimal Weerawansa once went on a hunger strike protesting against the UN. However, he gave up the hunger strike after drinking young coconut water retired President Mahinda Rajapaksa offered him. This time he gave up the ‘hunger’ strike after drinking a glass of milk. Despite the prices of vegetables had drastically come down throughout the recent past, neither the consumer nor the farmer received any benefit from the situation says the National Organizer of the All Ceylon Farmers’ Federation Namal Karunaratna. Speaking at a press conference held at Dambulla yesterday (29th) Mr. Karunaratna said, “The farmers who cultivated brinjals, cabbage and other vegetables could not sell their produce even for Rs.5 a kilo and have been severely inconvenienced. The produce bought at dirt cheap prices from farmers is bought by consumers paying very high prices. No vegetable is available in the market for less than Rs. 50 a kilo. This situation has arisen as there is no methodology available in the country to preserve or minimize waste or to distribute produce bought from farmers directly to consumers he pointed out. Despite the government promising to pay Rs.10,000 per month for four months for cultivations destroyed by the drought, so far nothing has been paid and if the money due for March and April is not paid before the New Year the farmers will have a very trying time added Mr. Karunaratna. He said large companies have brought down the price of maize but the government has not taken any action regarding it he said. 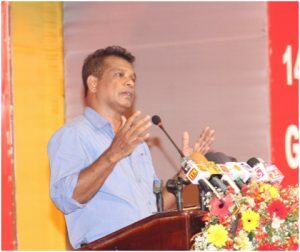 The Leader of the JVP Parliamentarian Anura Dissanayaka will leave to Kuwait today (30th) to participate in the Annual Convention of Kuwait branch of the ‘Ethera Api’ organization to be held tomorrow (31st). ‘Ethera Api’, a powerful organization that appears for issues and rights of Sri Lankans abroad, has branches in many countries in the world. Most of the Sri Lankans employed or domiciled abroad have been benefited and have confidence that the organization would genuinely represent their issues and protect their rights. 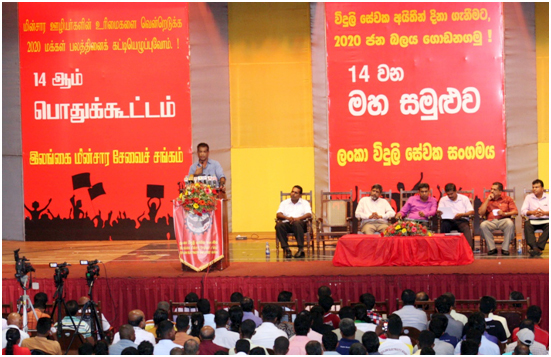 The 14th Annual Convention of the Lanka Electricity Board Employees’ Union under the theme “Build People’s Power in 2020 to win CEB Employees’ Rights” was held at the National Youth Services Council Hall at Maharagama. A large number of members of the Union from power stations, sites, offices from all districts including the Northern and Eastern districts participated. The President of National Trade Union Center (NTUC) K.D. Lal Kantha, the General Secretary of Lanka Electricity Board Employees’ Union Ranjab Jayalal and many trade union leader s were present. Several resolutions to oppose the attempt to privatize the CEB, the government policy of selling state institutions were adopted and it was unanimously agreed to strengthen the salary struggle being carried out and to launch stern trade union action against the government’s moves that exploit masses, specially the working masses. Violent clashes have broken out in Paris between riot police and protesters against the police killing of a Chinese man in his own home in north-east Paris. Three police officers were injured and 35 demonstrators were arrested when demonstrators held the protest yesterday (28th) against the killing. Shaoyo Liu, 56, a father of five, was allegedly shot in front of his children while he was cutting up fish. Police say the officer involved in a raid on the property on Sunday fired in self-defence after Liu wounded an officer with a “bladed weapon”. Liu’s family totally disputes the account. A daughter of the slain man has told the media that her father spoke little French and had been at the door of their home holding a pair of scissors that he had been using to de-scale fish for the family dinner. She said the police officers smashed the door of the house and shot her father who had gone to the door to see what the noise was about. Protesters outraged by the killing and baton-wielding police clashed for several hours on Monday night. Three police officers were injured and 35 protesters arrested authorities said. Protesters also gathered on yesterday for a second day of demonstrations over the fatal shooting. Meanwhile, Chinese Foreign Ministry spokeswoman Hua Chunying said China had summoned a representative of the French embassy in Beijing and urged French officials to , “get to the bottom of the incident as soon as possible”.